My own personal favorite was The Death and Life of the Great American School System: How Testing and Choice Are Undermining Education by Diane Ravitch. I thought Bill Ferriter and Adam Garry’s Teaching the iGeneration was incredibly useful. It is packed with information and also, various activities and guides to help teachers think and use digital tools. The website companion has plenty of additional downloads, even for those who don’t own the book. 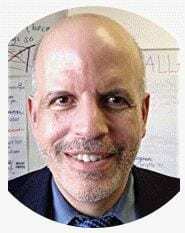 Daniel Willingham’s “Why Don’t Students Like School” Terrific review by cognitive scientist of how kids’ minds work and what that means in the classroom. “Metaphors and Analogies” by Rick Wormeli really sparked my thinking about the use of metaphors as a teaching/learning tool. Wonderful examples for classroom use. Possibly the best book I’ve ever read about how we learn, how we remember, and also about how many education-conference truisms like learning-styles theory and multiple intelligences remain without a scintilla of scientific evidence. Clearly written, cogently argued, valuable from cover to cover. Blogs, Wikis, Podcasts, and Other Powerful Web Tools for Classrooms by Will Richardson. (3rd ed.) I like this book because it helped me to become more efficient and effective when using these web tools. I am a foreign language teacher with a strong interest in instructional technology–this book has made the difference between grappling with technology and understanding the “science” of implementing it in the classroom. I finally got around to reading Jonathan Kozol’s “Shame of the Nation.” What a great, shocking, and inspiring book!! I am a K-5 art specialist in western Washington state. The education book that has influenced me most recently is Engaging Learners Through Artmaking by Kathy Douglas and Diane Jaquith. The book is a beautifully practical guide for transforming a classroom from one of teacher choices and whole class projects to one where learning is truly individualized. I found topics for further study into constructivism and student choice and have had a great time designing a comprehensive art program for my school. It’s an amazing book. Diane Ravitch’s The death and life of the Great American school system, of course! I really loved Tony Wagner’s “The Global Achievement Gap.” It’s a great picture of what our education system really needs students to know and be able to do in our rapidly-changing world. It’s also written in a very engaging conversational style. It would be a great book to have an entire staff at a school site read. Good conversation starter. Teaching to Change the World by Jeannie Oakes and Matin Lipton. This was one of the first books I read in my Teacher Education program and has kept me inspired to be joining the ranks of teachers! I’ve also been learning about the challenges that teacher face today, and I’m sure I will return to this book in the months and years to come to remind me of the teacher I want to be and reason I want to be one. I’d also like to share this link to the “book reviews” tag at the TLN Teacher Voices blog. You’ll find teacher-penned reviews of dozens of education books, including several mentioned here. There’s even a pretty powerful interview with Rick Wormeli about his Metaphors & Analogies book, which Anne mentions above. I have to admit that I don’t read a lot of non-fiction books of any kind. 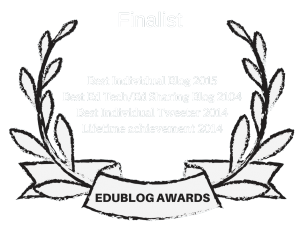 I spend a lot of time reading for professional development online (blogs, tweets, etc.) and in journals, so devote almost all of my book reading time to fiction. Last summer, though, I read The Book Whisperer by Donalyn Miller. Not only was I overwhelmed by how effective she was at getting students to read; her own book was a page-turner for me. I couldn’t put it down. Her ideas would be a source of inspiration for any English teacher or librarian. Reading “The Book Whisperer” by Donalyn Miller over the summer completely changed how I think about teaching literature to my seventh graders. I know it’s a book I’ll read several times! With one on my reading groups we’re trying to find out more about China. One of the books I have been utterly touched by is “The Vagarants” by Yiyun Li. We learn about the cruelties commited in the late 70s in China and also about the enormous courage of certain people. I teach pre-k in an inner city school in Brooklyn, NY and am more than old enough to remember first hand the history lesson that Ms. Ravich teaches us of how we got into the mess we’re in. For those younger teachers, this is an important book so you don’t think all this happened by magic. When you finish this book, you may consider “The Language Police” my next favorite choice. Understanding our profession is a must for every teacher. This book is divided into eight chapters. Each covers a principle of great teaching. There is also an appendix with nine tools that are forms that can be easily incorporated by teachers of varying levels. I like this book because Jackson’s work is clearly organized chapter by chapter. First, she includes a scenario from her class or a class she has been doing a formal observation. She then covers common practice in education and the principal of education involved. These sections are followed by practicing the prinicple. Jackson includes helpful sections on “yes . . . but” and “try this”. There are numerous real-life stories tied to the sections so the reader can clearly see variances in students and the application of the principles. She ends each chapter with a section titled “Getting Started”. I teach English and journalism in a rural high school in Central Illinois. I have taught for 22 years and feel that this book could be beneficial for teachers at all levels of experience. I certainly have come away with new skills. This is a bit more specialized, but I was really impressed by the book Engineering in K-12 Education, which can also be read online for free. If you compare today’s world to 100 years ago, some of the biggest changes and improvements have come from engineering and technology, and yet we still do not teach anything about engineering in most K-12 schools. This book expands the old notion of SSR (Sustained Silent Reading). The authors assert that simply telling kids to read for a certain amount of time in the classroom isn’t enough. They contend that the key is providing students with books they CAN read and WANT to read in a well-stocked classroom library. The authors also describe the importance of students engaging in “literate conversations” with each other and adults. The book includes interviews with other leaders in the field such as Richard Allington, Linda Gambrell, and Sharon Taberski. A High School English teacher points out the unintended consequences of accepted reading instruction and fading assignments. We are turning out students into learners who avoid reading and in fact, hate it. Excellent for K-12. The Literature Workshop by Sheridan Blau. Not a new title but a definite must read for teachers of analysis. Rafe Esquith’s Teach Like Your Hair’s On Fire, My daughter is currently studying to be a teacher, this makes me both proud and worried. She was reading this book for class and suggested it to me! I enjoyed it and enjoyed sharing it with her! It made be reflect on my passion and joy for teaching. After 29 years it is not always easy to “teach like your hair is on fire” but this text and my daughter’s enthusiasm have rekindled the fire! And I heard Cly speak…humble, thought-provoking, inspiring. I am with John- Pink’s DRIVE is a must read for parent, teacher, employer, employee. Also, Godin’s Linchpin and Kohn’s “The Schools Our Children Deserve” top my list. For anyone trying to create change, these are must reads! For me, it was Daniel Pink’s Drive and Kelly Gallagher’s Readicide. Another great one was Teaching with Intention by Debbie Miller. Changing the way I approach planning learning activities in with my students. Diane Ravitch’s The Death and Life of the Great American School System is certainly one of the most discussed and influential in the reform debate. Milton Chen’s Education Nation: Six Leading Edges of Innovation in Our Schools is great addition to the reform discussion because it gives some ideas on which directions our school reform should be going. I enjoyed reading The Freedom Writers Diary: How a Teacher and 150 Teens Used Writing to Change Themselves and the World Around Them, by the Freedom Writers, Zlata Filipovic, and Erin Gruwell. I was impressed with how much effort Erin Gruwell, the teacher featured in the book, put into giving her students new experiences outside of the classroom, such as raising money for them to visit Washington, D.C. Gruwell’s success in giving at-risk students the skills to tell their stories and motivating them to do so makes the point that teachers should never write-off students as not being able to learn. I didn’t see the movie about the book. If I have a choice, I usually enjoy reading a book more than seeing a movie that has been based on a book. Great, practical, and very well written. Includes conversations with real teachers – you can imagine yourself discussing the issues with the author! I enjoyed reading Teach Like a Champion by Doug Lemov. It’s tone gets a little pushy sometimes, but it does a great job of breaking down the nuts and bolts of teaching. The Element by Sir Ken Robinson. Mirrored my thoughts about education and his stress on the role of the arts in shaping the lives some students was moving. Brabazon, T. (2002). Digital hemlock. Internet education and the poisoning of teaching. Sydney, Australia: University of New South Wales Press. Online teaching is not the holy grail. Teaching the Digital Generation: No More Cookie Cutter High Schools by Frank Kelley, Ted McCain, and Ian Jukes. The authors provide at least 12 different models for high school redesign based on brain development research, motivation, technology integration, the learning environment, and 21st Century skill development. Powerful read that I highly recommend. Read it with some colleagues. I’ve just finished, and been really inspired by, Ian Gilbert’s ‘Why do I need a teacher when I’ve got Google?’. The best education related book I read in 2010 was Drive by Dan Pink. There are so many connections in this book for schools and the way we organize schools it is a must read for all educators, or at the very least all administrators. I agree with those who have Daniel Pink’s ‘Drive’, I’d also add his ‘A Whole New Mind’ – certainly food for thought when we are thinking about the skills we wish to develop in our 21st century students.